The Phazer™ is an analog phase alignment tool that lets you bring two sounds sources together so that the fundamentals play in sync. 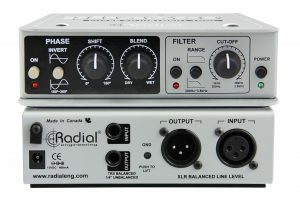 The Phazer is a unique tool that sums two line-level signals together using class-A analog circuitry, providing the ability to quickly and accurately phase-align any tracks for improved clarity and tone. 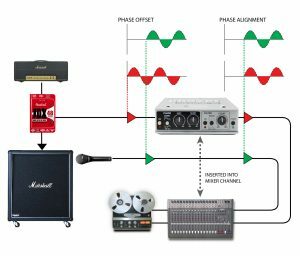 Once in phase, the results are impressive: On electric guitar; you can combine the direct feed of an amp with a room mic to create fat rich tones. 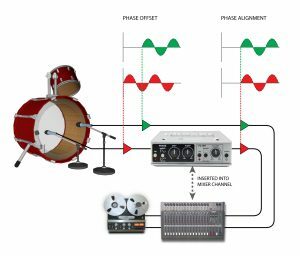 On a kick drum, combine the attack from a batter head mic with the body captured by the outer shell mic, or the top and bottom mic's on a snare drum. 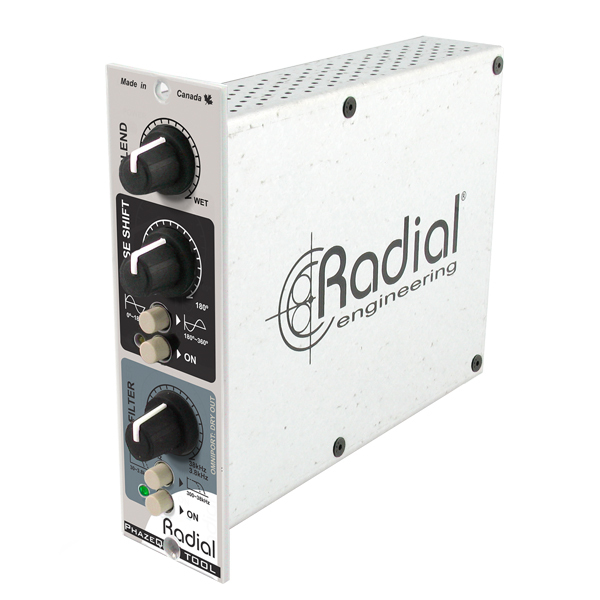 With acoustic instruments, combine a close 'spot' mic with a room mic to capture textures like never before. 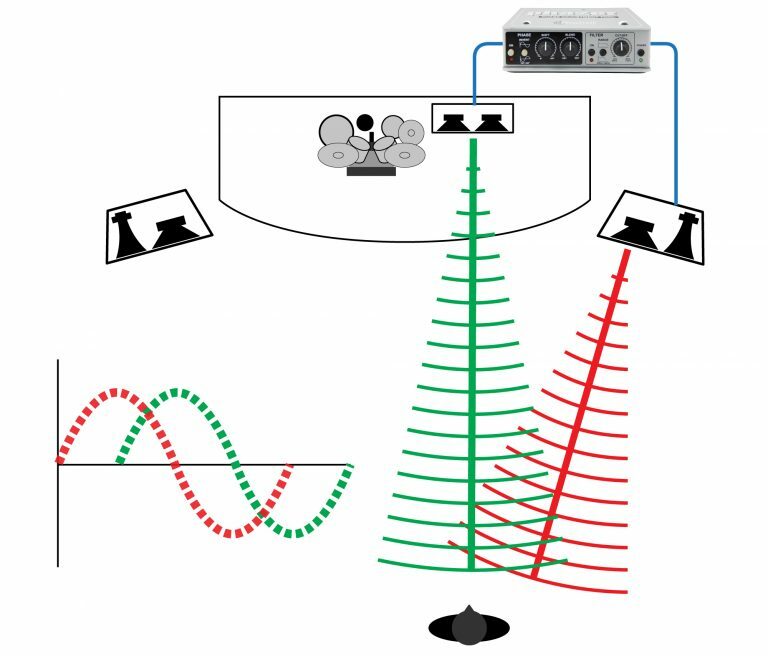 Engineers love to combine the attack of the batter head with the boom of a second mic. The Phazer elevates the effect by letting you combine the two in perfect sync. Simply insert the Phazer on the batter head channel, rotate the phase control and in seconds you are there. Sometimes, getting a great guitar sound seems to take forever. 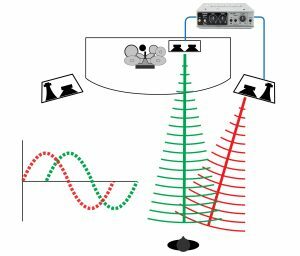 This is due to irregularities such as stage resonance, room acoustics and a slight shift in mic position. 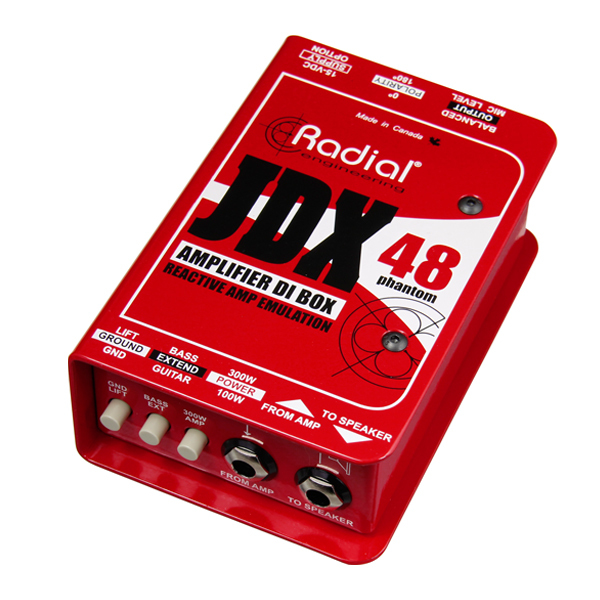 Combine a Radial JDX direct box with the usual SM57 on the speaker. 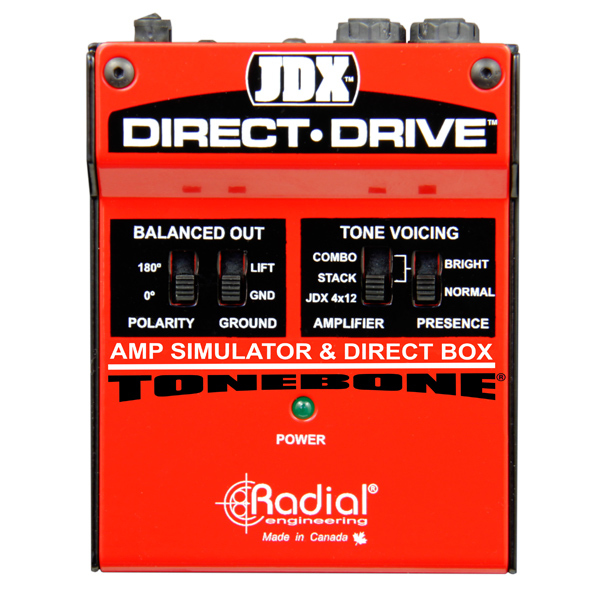 Phaze adjust the JDX and in seconds, you will get huge guitar sounds. 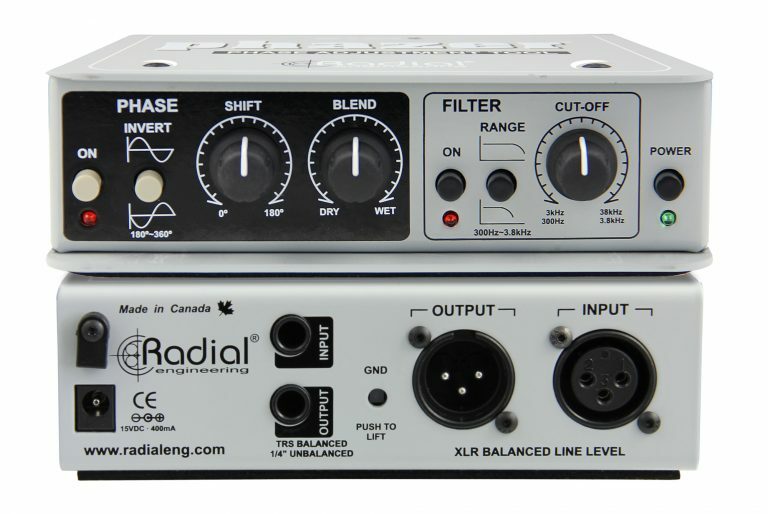 In smaller venues, the bass level coming off the stage can often compete with the PA system making it hard to mix. 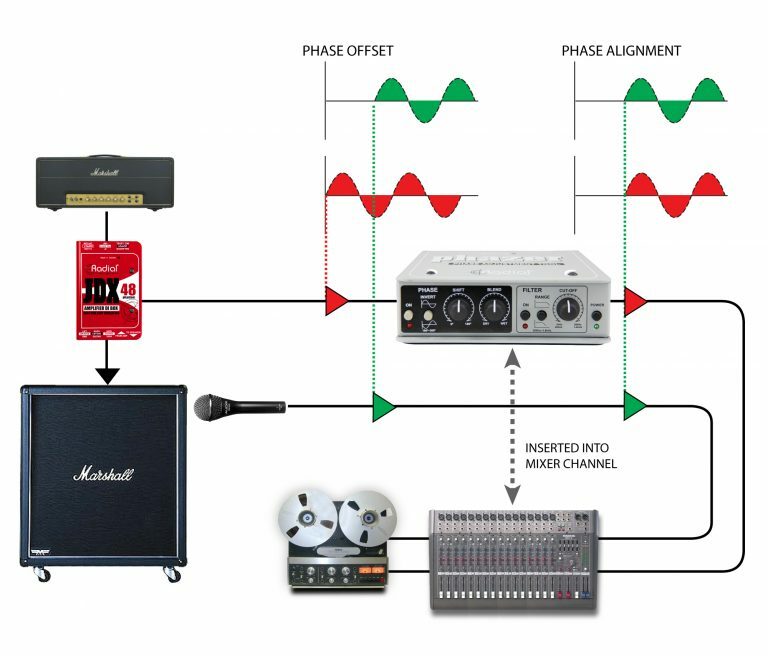 Combine the direct feed from the bass amp using a JDX direct box and phase align it to the PA using the Phazer. You will be amazed at how this simple process will clean up your mix. "Pursuing the idea that 'every tweak must have a predictable effect', I tried more metering than should be legal. In the end I had to concede that the Phazer is simply a little box that can make a big difference to your sound. 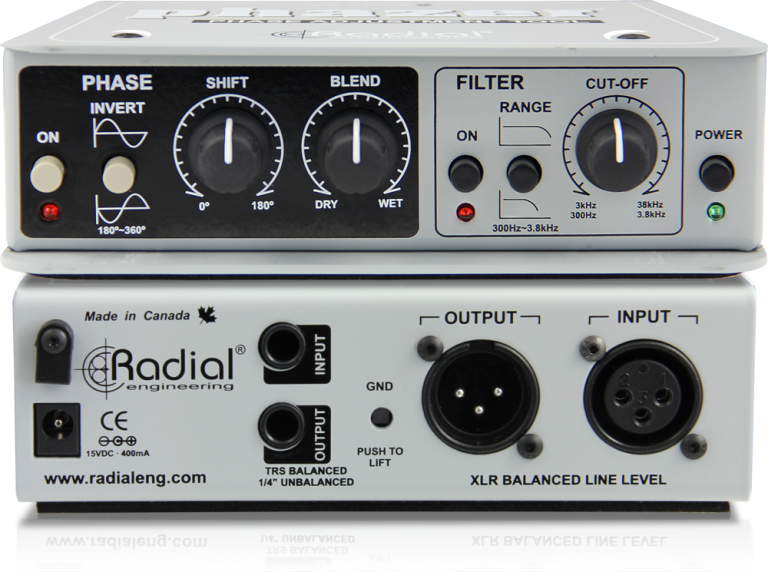 It's an effect, an EQ, a correction tool and more. Anyway, you should get one." 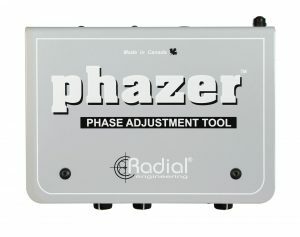 "The Phazer is exceptionally easy to use and provides more natural sound than simply aligning waveforms with digital audio software or by using a delay." 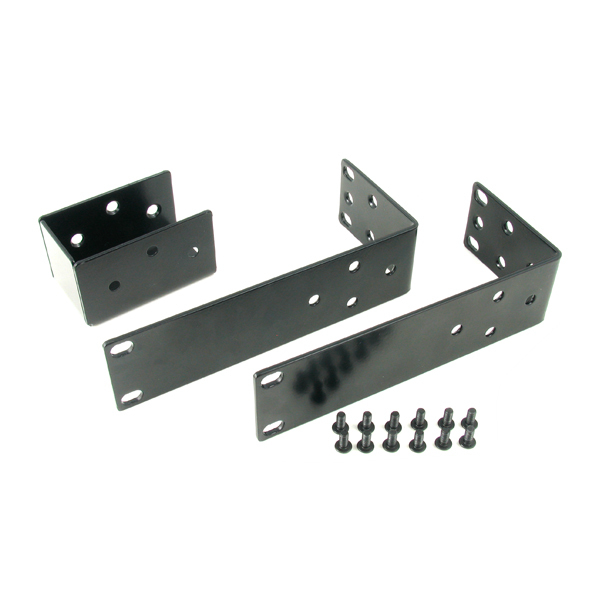 "The gradual adjustment from 0º all the way to 180º that the Phazer offers is very helpful and, in some cases, a lifesaver. 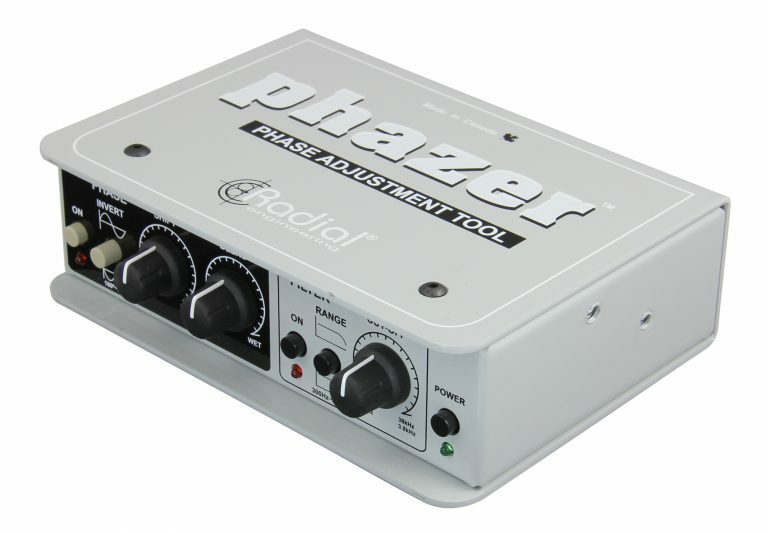 The Phazer's a very handy tool to have if you want the clearest signal between mics picking up the same source."